May 29, 2014. Senior staff member Markus Bensch (Germany) tells of his experiences in Tanzania. 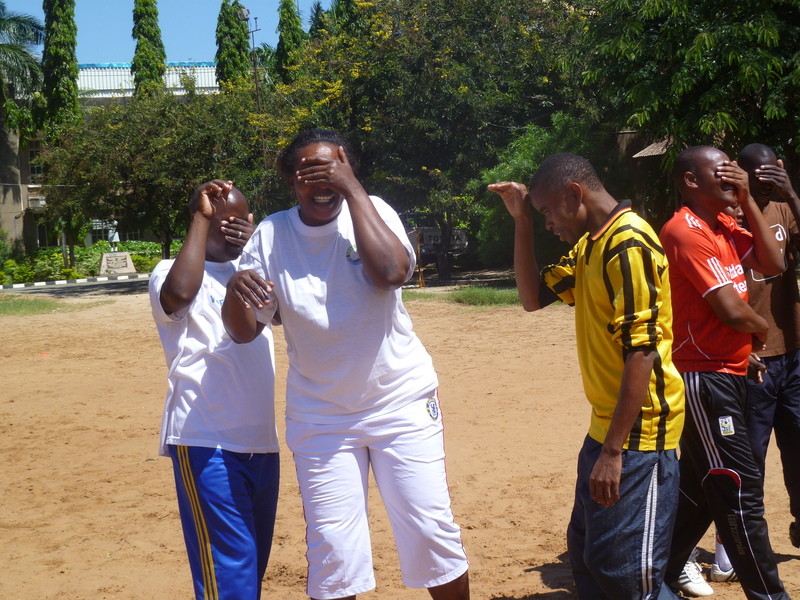 Last week we started a new program in Tanzania in the biggest city of the country, Dar es Salaam. Our programs in Tanzania are a bit different because we partner primarily with the Municipalities of the cities or districts and not with local NGOs. Most of the participants are teachers by trade and not necessarily coaches in particular. In the past we have worked in many different towns but this is our first time running a program in the capital. But it was not only the first program in Dar es Salaam it was also the first time for me to be responsible for planning and running an entire CAC training. It was my last week of introduction with Sophie and a test run before I head to Zimbabwe to lead my own team. Here now the report from the week of truth. Our program was supposed to start on Monday on the field, but in Africa sometimes things take time so we could only welcome a few participants and give them a short theoretical introduction to CAC and our work. On Tuesday we started on the field with 18 teachers and did a classical “Ronaldo Day” that gives a good introduction into football for social impact. On Wednesday we continued with Marta who is one of our most powerful female role models and gives us the opportunity to speak about female empowerment as well as discuss participation and roles of girls in sport, football and society. The participants agreed and even gave examples about different stereotypes that still exist about the roles of women and men in society. They already knew that most of these roles are culturally defined and not naturally given. One example they mentioned was about hair dressers. In Tanzania only women become hairdressers, but amongst the immigrants from the Democratic Republic of Congo you’ll find also men that are doing this job. This is just one of the examples we discussed and where we emphasized the idea of questioning these traditions and making a step towards creating more choices and opening more opportunities in the minds of the people, especially the young generation. The group enjoyed very much our fun games like Mingle Mingle, Animal Game and Head-Catch. 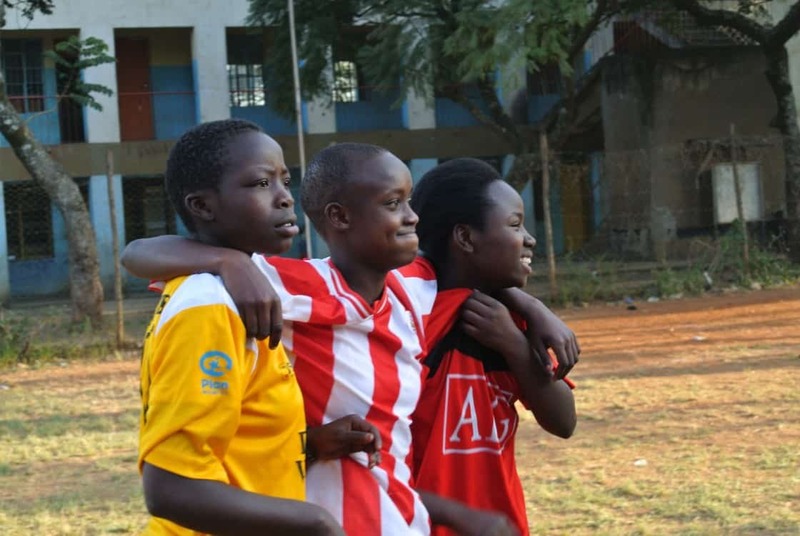 But they also worked very seriously on finding solutions in our problem solving games like 95% Football and Lines Game, although we could tell that they’re at the beginning of the process to become self-directed learners and they struggled with this new way of thinking and acting. But they made progress throughout the week and we hope to see major changes next year when we come back, because we’re aware of the fact that the learning process and change in behavior happens throughout the year as they implement what they have learned and not completely during our one week program. We can only initiate, but the participants have to continue and we’re optimistic that this group will do so. We want to say ‘Thank you!’ to the Ilala Municipality District and Claude to make this program happen. A big ‘Thank you!’ goes also to Nico Achimpota our local Community Impact Coach (CIC) who traveled on Sunday from Dodoma to Dar es Salaam to help us to set up the program and organize everything for the training. Last but not least we want to thank Mr. Mgamba and his school that they hosted us and provided a football pitch and a separate classroom that we could use the whole week. We are looking forward to come back next year and welcome a lot of returning coaches who continue with us the journey to become self-directed learners and establish this new learning culture in their teaching and coaching. I personally want to say ‘Thank you!’ to Nora and Sophie for the wonderful eight weeks I had with them and the brilliant introduction I got into the philosophy of CAC and in the administrative procedures to make our work on the field successful. I’m now looking forward to run the first programs on my own and learning from my own experiences. Next: Make your World Cup predictions today!